Heather Hickey, director of physiotherapy at Accident Injury Management Clinic, graduated from McMaster University in Hamilton, Ontario, with a Masters of Physiotherapy degree in 2010. Her McMaster research group was awarded one of Physiotherapy Foundation of Canada’s top three research manuscripts in the 2011 Ann Collins Whitmore Student Competition enabling the group to present at the 2011 Canadian Physiotherapy Association Congress in Whistler, BC. Following graduation, Heather returned to Fredericton to practice at the Stan Cassidy Centre for Rehabilitation where she worked within the physiotherapy department of the adult inpatient neurological rehab team. Heather is a registered member of the Canadian Physiotherapy Association, the Orthopaedic Division of CPA, the Ontario Physiotherapy Association, the College of Physiotherapists of Ontario and the College of Physiotherapists of New Brunswick. Heather believes that long-term success in health and wellness requires two particularly useful tools: knowledge and the ability to self-manage. Key components of Heather’s treatment include education, manual therapies, training body awareness, meaningful exercise instruction, therapeutic taping (Leukotape®, Kinesiotape®), bracing, and an open line of communication. 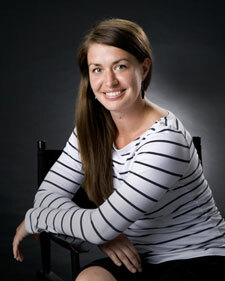 In addition to her special interest in treating neurological populations, Heather provides treatment to injured workers, persons in motor vehicle collisions, pre- and post-operative orthopaedic patients, athletes, weekend warriors, pre- and post-partum women, and all persons requiring help to return to activities of daily life. In her free time Heather enjoys attending physiotherapy coursework, touring with Ultimate Frisbee teams, playing volleyball, keeping active with group exercise classes at the gym, hiking, photography, reading and board games. Give our St. Catharines chiropractic office a call to schedule an appointment today!